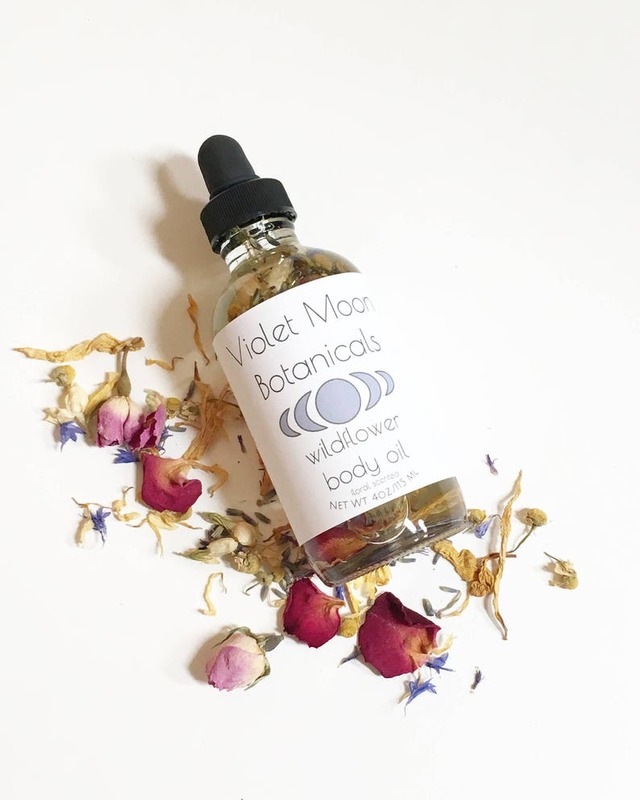 Nourish your skin with the power of flowers with this wildflower body oil, made with wild harvested California flower petals! 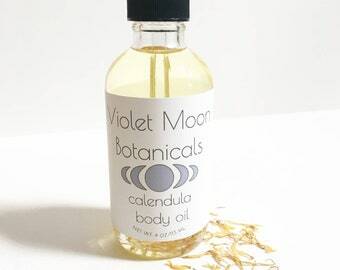 Infused with a blend of skin loving flowers including calendula, rose, chamomile, and more, this natural body oil is rich with vitamins that nourish skin. Filled with beautiful, floating petals, this multi-use oil makes the perfect gift for the nature loving flower child in your life! Great for massages, as an all over moisturizer, or even as a bath oil! Your choice of floral scented, or unscented. A little goes a long way! Use a few drops on the area of skin you want to treat and rub in for an aromatherapy massage. This oil can also be used as a bath and body oil. The flowers infused in this product is straight from my organically grown garden, where I harvest and dry fresh California herbs and flowers by hand. 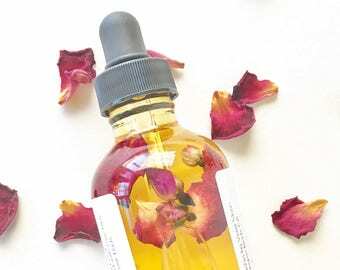 Ingredients: sunflower oil infused with roses, lavender, chamomile, jasmine, calendula, sunflower, and cornflower petals. 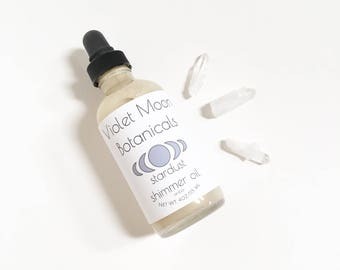 Scented version also contains a blend of jasmine, rose, lavender, and chamomile essential oils. 1 made to order glass bottle with dropper containing 4oz. of wildflower body oil, your coice of scented or unscented.